Check out my latest obsession. This gold baroque brocate print skirt! Baroque prints are HOT this season and I LOVE it! My house is even decorated in this style lol. I chose to pair it with all black and a leather studded jacket,because I really wanted the print to stand out,but I think it could work with jewel tones also! 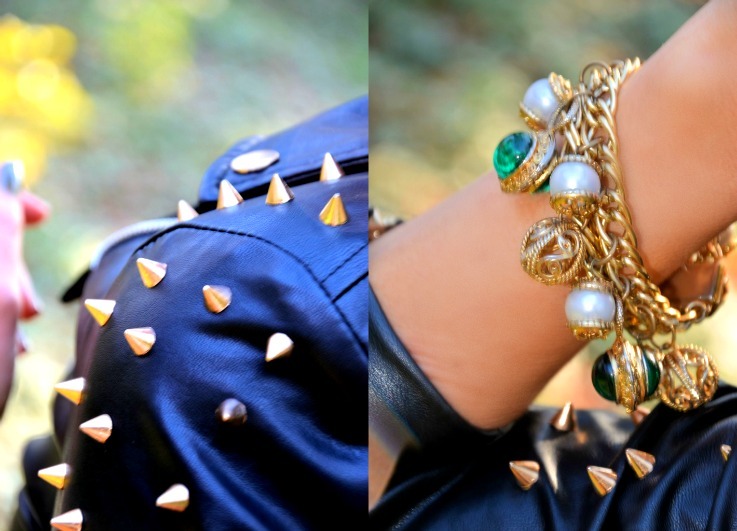 The studded jacket gives it a little edgy feel dont you think? or will you pass lol? "All Night Long with Lionel Richie"